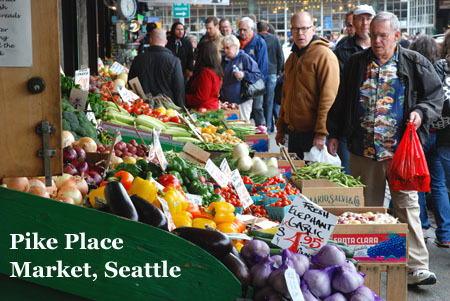 If you thought you knew Seattle’s Pike Place Market, you just might get a kick out of revisiting it in a new way – with a food tour. 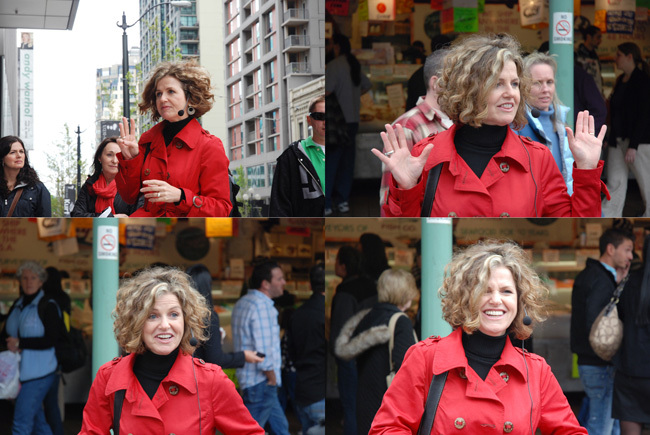 Jan Marie Johnson opened my eyes Saturday by taking us along on one of her market tours, designed with foodies in mind, available through www.seattlebitesfoodtours.com. It’s a four-hour moveable feast that takes on a hundred years of market history while at the same time illuminating more current food trends and producers. 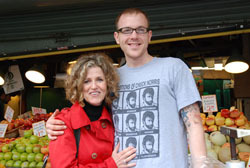 Jan Marie Johnson with Mark from Corner Produce. Ask him how they make 'Grapples'. 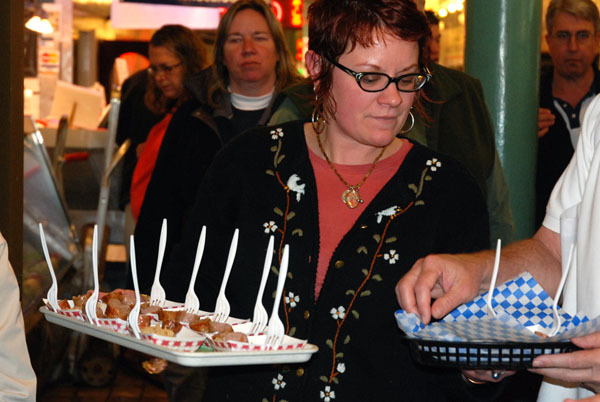 Whether you’re a long-time resident or a foodie visiting Seattle for the first time, her tour is the perfect way to get an insiders’ look at the food world in and around Seattle’s famous market. Jan Marie is undoubtedly the star of this show. 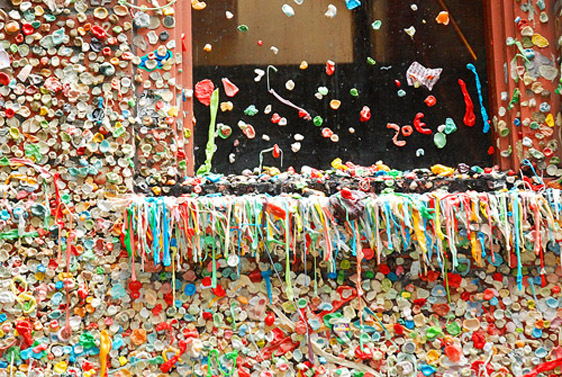 She flits through the market like a butterfly, setting down now at the horse ramp, now at Rachel the pig, now at the gum wall – now poking through the locked door at the Can-Can Cabaret. Everybody’s happy to see her and it makes you feel like part of the market family. She’ll tell you which Northwest chowder was inducted into the New England chowder hall of fame and who the Codfather of the market is. The stories just keep coming the whole time, infusing you with Jan Marie’s unstoppable enthusiasm. 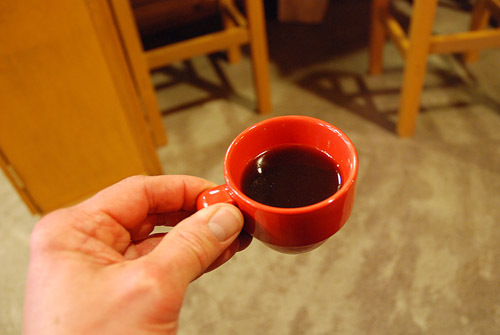 Along the way you sample all kinds of things from coffee to crepes and sausages to samosas. Not only is it well worth the time and price of admission; by the end of the tour, you’ll feel like you’ve known Jan Marie and your tour members for ages! I’ll let the photos speak for me. At the bottom, please be sure to see a list of all the vendors we stopped by to see and sample. 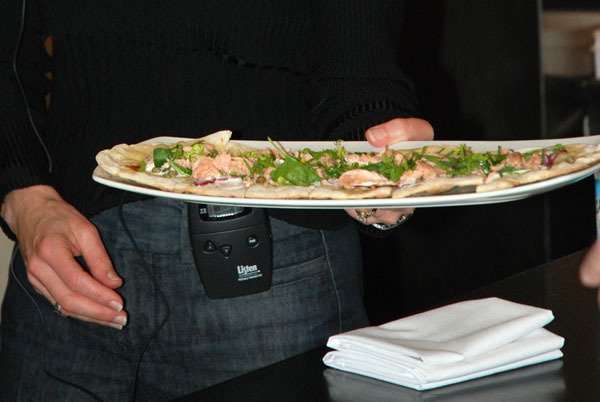 Smoked salmon flat bread with crème fraiche from Taste at the Seattle Art Museum, where the tour begins. Jan Marie gives a brief history of the area before heading to the market. 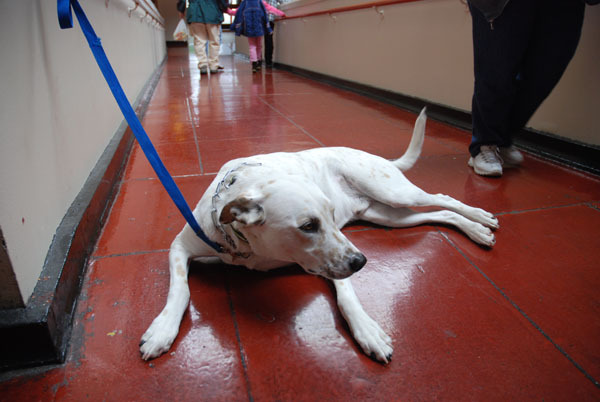 A dog lounges on the ramp once used by horses at the south end of the market. 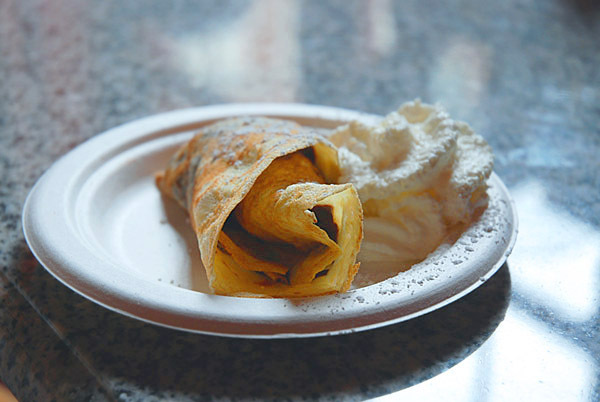 Chocolate and Banana Crepe from Crepe de France. 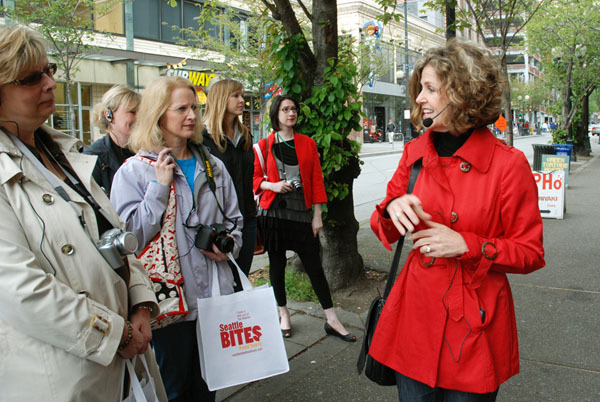 Northwest bloggers listen to Jan Marie on Pike Street across from the market. 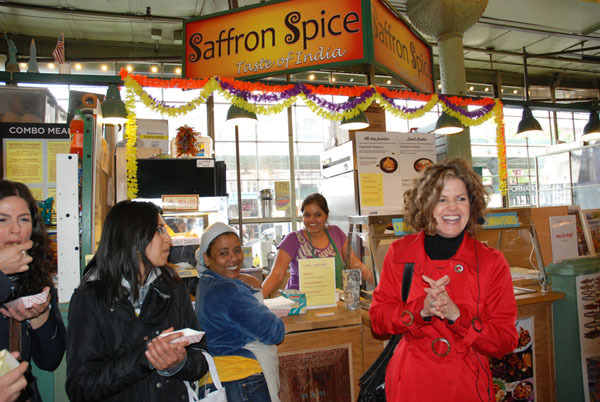 Saffron Spice, home of some great samosas. Detail from Pike Place Market's famous gum wall. Ooey gooey! 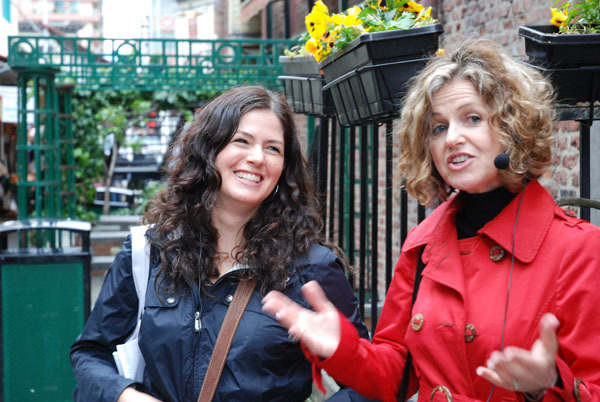 An intrepid Vancouver foodie and Jan Marie in Post Alley behind the Copacabana. Bolivian Coffee from Seattle Coffee Works on Pike Street, across from the new Hard Rock Cafe. 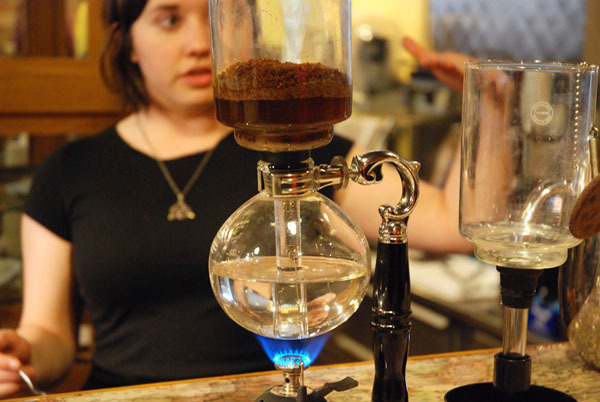 The contraption for making vaccuum coffee at Seattle Coffee Works. Do stop in and ask for a demonstration! 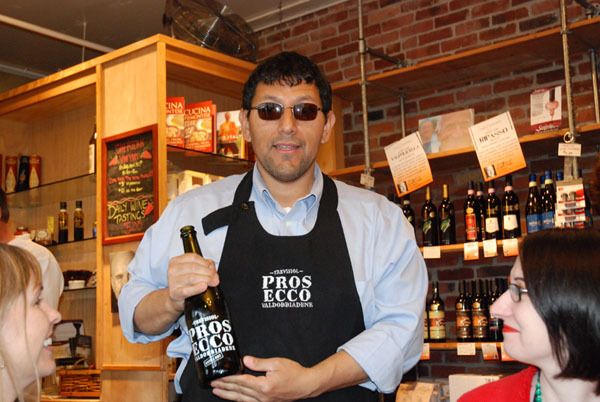 Prosecco from La Buona Tavola. Many thanks to Jan Marie Johnson, Mark Johnson, Val at Morethanburnttoast, my local bloggers and three intrepid Vancouverites for a wonderful afternoon! 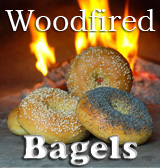 See www.seattlebitesfoodtours.com for more info. Great pictures and such a great time. It was my second time venturing through the market with Jan Marie. Each time I learn something new, have new “bites” and make new friends. 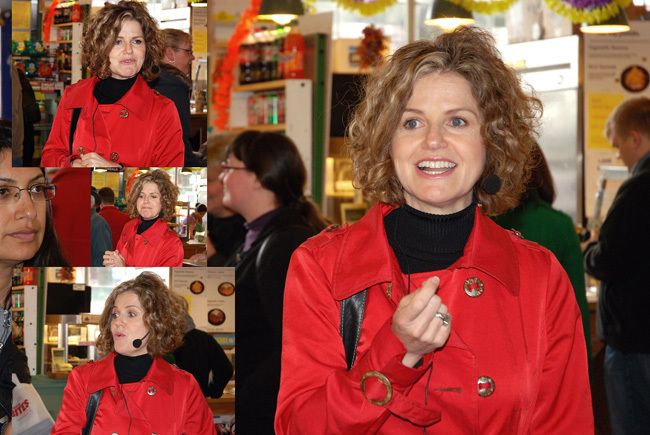 Seattle has a real treasure in Jan Marie and her Seattle Bites Food Tours, which as we know has won her the King5 “Best Foodie Tour.”It was a pleasure to meet you and so many enthusiastic foodies. Terrific pictures, Don! 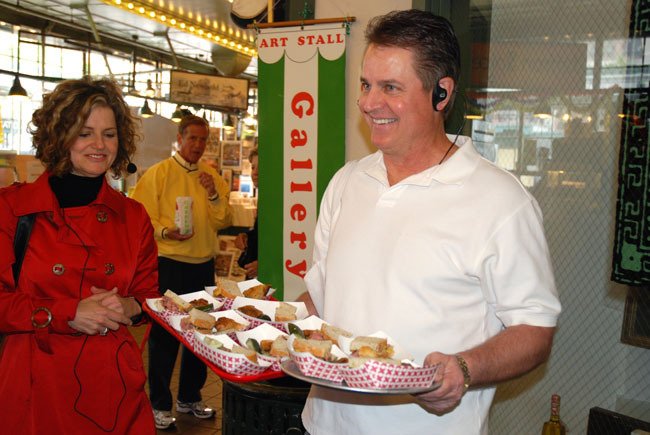 They really capture what a great time we had at the Market. It was a treat to get to be there, seeing, tasting, learning, and meeting new folks. Great pics Don! I want to go again! 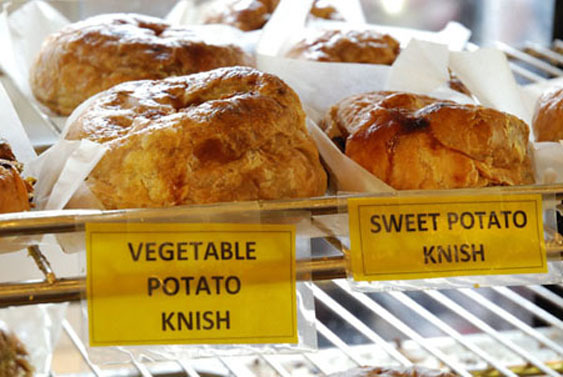 This is top of my list for in-town foodies and out-of-town visitors alike. Great write up Don ! And love the pictures- I really like how you captured Jan Marie with the take 1 and take 2 series-very creative ! The family’s debating – Seattle or San Francisco this summer? hard to choose. I think everyone should officially tour their own city. It’s grand to discover what you never saw! So want to go on this tour next time we’re in Seattle. This looks like fun! I’m traveling to Seattle in a week, so I might try to sign up for a tour. 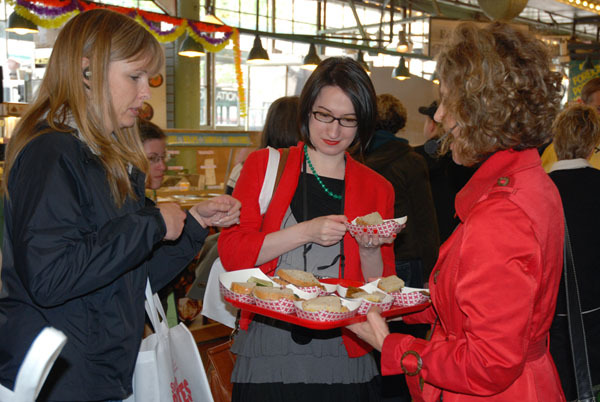 Thanks for checking out Pike Place Chowder! 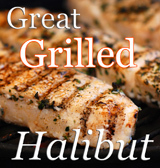 Remember us next time you’re hungry! Wonderful pictures! Your story reminded me of how much fun this tour is and how it’s about time I did it again. 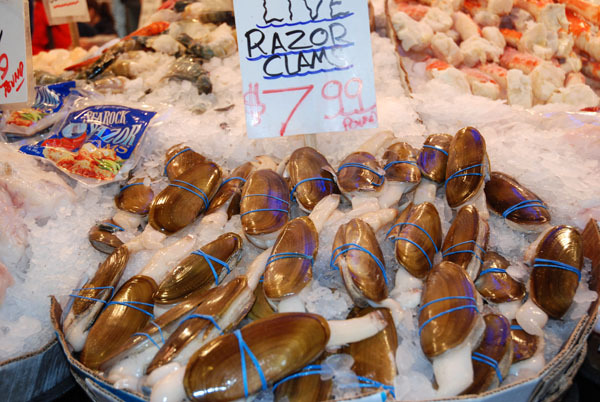 I’m a local, and I love Pike Place Market!